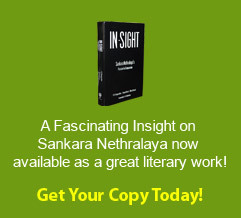 concern to Sankara Nethralaya's cause! Sankara Nethralaya – A preferred destination for hands on learning and real time training. As an institution committed to the disseminating of knowledge and skills for the common good, Sankara Nethralaya engages itself in a very interesting endeavour over and above its conventional teaching and training initiatives at its centres. The institution provides real time learning and exposure to overseas students at different levels in their academic career through its volunteering programs. It is manned by a highly proactive and sympathetic medical and non-medical personnel who value the time and cost incurred by the student and impart the maximum knowledge and learning to them. Personnel who do not consider volunteering as a routine exercise but a critical part of the student’s learning curve. Exposure to treating a large number of indigent patients both at the community hospital and at the outdoor camps not only gives the interns a peep into the world of community care but also inculcates a spirit of service with a personal touch, the hallmark of Sankara Nethralaya. A trait that every man /woman of medicine should possess in addition to their core competence levels. Last but not the least the students can club their volunteering during their trip back home during vacation, which saves significant cost. We take great pleasure in sharing the names of students from the USA who did their volunteering at Sankara Nethralaya recently and their impressions. 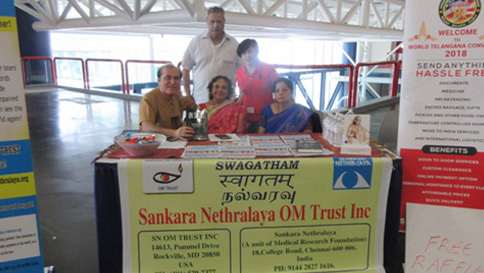 OM Trust-USA, the Maryland-based fund-raising arm of Sankara Nethralaya hospital in Chennai, India, organized a fund-raiser on Sunday, September 17, at Lassiter High School, in Marietta, Georgia. 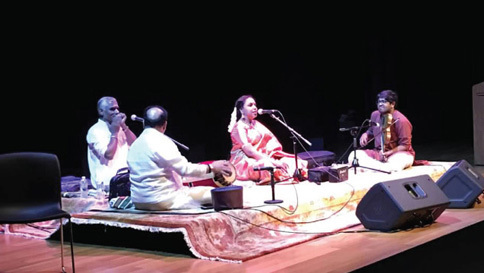 The event included a classical music concert by the renowned musician, Padma Vibushan K. J. Yesudas and the 1,000-seat capacity auditorium filled up hours before the start of the program. After a welcome speech by Bala Indurti, S. V. Acharya, President of OM Trust, USA spoke about the objectives of the OM Trust and how it had been instrumental in supporting the charitable work of Sankara Nethralaya. He was followed by the event that the audience was eagerly waiting for, the concert by Yesudas and an introduction of the artists. Yesudas, who is 77, began the concert with a Navaragamalika varnam. After requests from the audience, Yesudas sang many of the kritis that he has popularized over the years. Before singing the very well-known Vathapi Ganapathim in Hamsadwani, invoking Lord Ganesha, Yesudas jokingly remarked that Vathapi is not the only song on Ganesha that he knows and that he would be happy to sing another composition on Lord Ganesha. The audience, however, insisted that he sing Vathapi and he obliged. 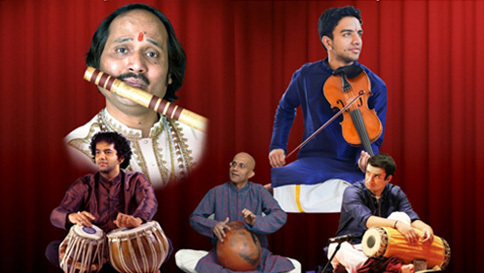 Yesudas was accompanied by Srikanth on the violin, T. S. Nandakumar on the Mridangam, Santosh Chandru on the Ghatam, and Varshney on the Thampura. 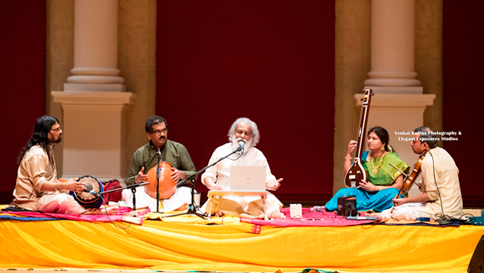 Sriram said that Yesudas was travelling in the “Sapthaswara Chari” – the universe of melody that seven notes create and that he was taking the audience with him in that journey. After the concert concluded, the artists were honored with presents. 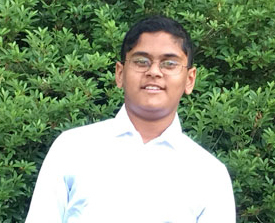 Following this, Antony Thaliath and Subash Razdan, trustees of the Gandhi Foundation of Atlanta presented the Gandhi Foundation Peace Award to Yesudas for his contribution to world peace and harmony. The audience was overwhelmed by emotions when Dr. Ravi Sarma spoke about his mother and how, during her later years of her life, she suffered significant loss of eyesight. 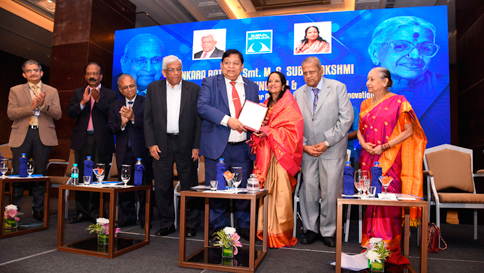 He announced that a major donation to OM Trust for a sum of $160,000 would be made by his family foundation named in honor of his mother, Pudipeddi Ramalakshmi. 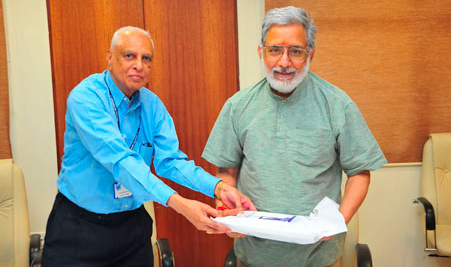 On behalf of Dr. Ravi Sarma’s family, Yesudas handed the check to S.V. Acharya, President of OM Trust. The credit for putting together this event goes significantly to Dr. Seshu Sarma whose dedication and leadership brought together prominent community leaders and organizations and a group of dedicated volunteers to help make the event a great success. Sarma, Moorthy Rekapalli, Bala Indurti, Krishnadas Pisharodi, Uma Narayan, Srikripa Eashwaran, Rajeev Menon, Antony Thaliath, Ashok Kumar, Raj Rengarajan and Raghava Thadavarthi worked tirelessly for months to make this event a reality. 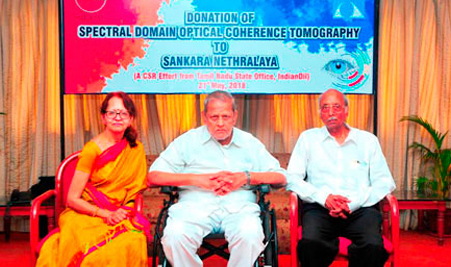 The event raised $150,000 which that will be used to restore vision for thousands of indigent patients served by the Sankara Nethralaya Hospital. 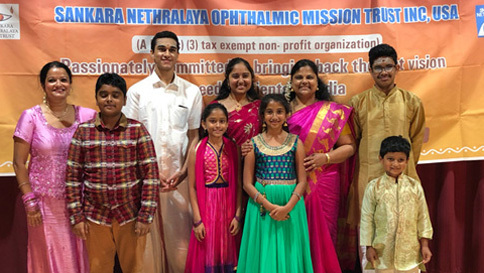 Sankara Nethralaya is a charitable non-profit hospital in Chennai, India started in 1978 by the renowned ophthalmologist, Dr. S.S. Badrinath to offer high-quality eye care to the rich and the poor. In rural areas there is both lack of awareness of preventive eye care and availability of qualitied doctors. 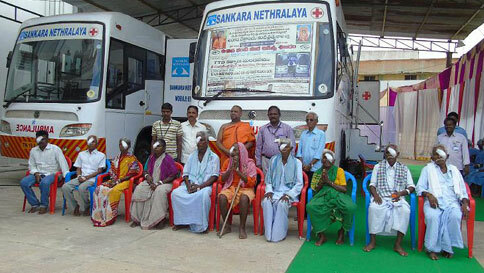 SN has a program to take eye care to where the poor patients live through thousands of eye-camps in villages around Tamil Nadu, Andhra Pradesh, Madhya Pradesh, and Maharashtra. The poor are not charged any fees for the pre-operative or post-operative care. To defray the costs of these treatments SN depends on donations from philanthropic individuals and organizations and SN OM Trust helps to raise funds in the US. 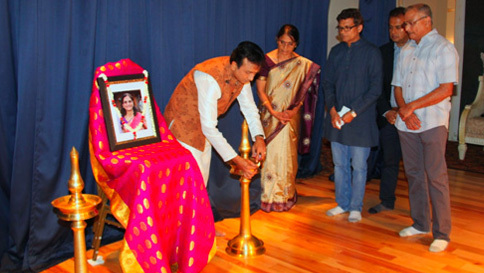 The Dallas Chapter of the Sankara Nethralaya Ophthalmic Mission Trust (SN OM Trust) joined hands for the 2nd time with the ‘Indian Fine Arts Academy’ (IFAA) the well-known champion of Indian music and culture in the DFW area to organize a Grand Musical Ensemble titled “ Wind Whispers from India” featuring Mr Rajhesh Vaidhya on Saraswati Veena, Mr Ronu Majumdar on Bansuri, Mr Vinod Venkatraman (Artistic Director of the Event) on Mridangam, Mr Srinivasan on Morsing, Mr Harshad Kanetkar on Tabla and SN OM Trustee Mr Sowmya Narayanan on the Ghatam , at the Unity Church of Dallas, Texas on the 9th of September 2016. While the photo exhibition booth set up by the SN OM Trust volunteers from the DFW Metroplex helped to showcase the activities of the SN OM Trust in the USA and Sankara Nethralaya’s cost free services to the poor in India, the sale of MS Subbulakshmi music CDs, SN OM Trust T-shirts at the stall helped to raise funds for the same cause. 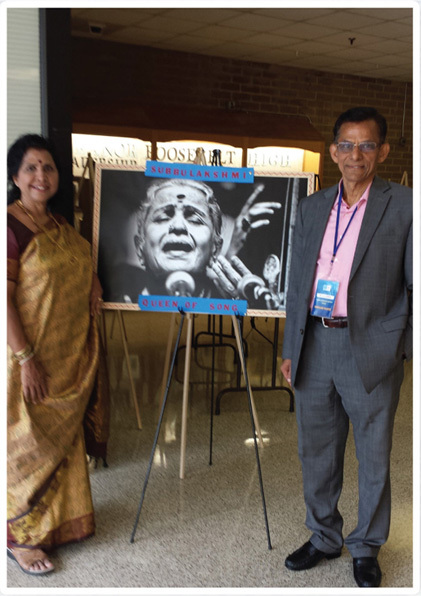 Mr Vinod Venkataraman provided a grand introduction of the esteemed artists to the DFW community and mentioned about the artists warm support to the activities performed by Sankara Nethralaya and the SN OM Trust, USA Dallas Chapter in raising funds through this event towards supporting free surgeries. Delivering the Vote of Thanks Dr Arvind Neelakanthan an alumni of Sankara Nethralaya presently with the Glaucoma Center of Texas gave a passionate account of his Alma Mater's contribution towards eliminating blindness through its research, knowledge dissemination and cost free community eye care services and its yeoman service to society. 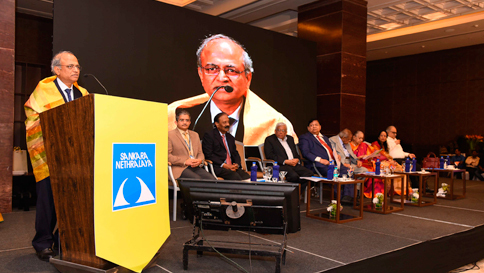 Dr Arvind Neelakanthan made a fervent appeal to the audience to donate generously towards supporting the large number of cost free surgeries to indigent patients in India that Sankara Nethralaya plans to perform from the proceeds of this event. He closed his talk with a warm note of thanks to the artists, the Board of Trustees of the IFAA and their volunteers for their kind and warm support extended in organizing the program. Allis-Gleanor Corporation (AGCO) the Duluth, Georgia, USA based Tractors and Farm equipments manufacturer is among the world’s most well known and largest organizations in its field of activity, with some of the premium brands in its stable. The company is also the overseas collaborator of Tractors and Farm Equipments (TAFE), India’s highly respected and leading tractor and farming equipment manufacturer. Mid- July marked the visit of senior officials from the US based conglomerate to its collaborator’s office in Chennai. TAFE the host company decided to bring about a touch of warmth to the high power meet of the two companies by organizing a visit of the dignitaries to the Sri A.Sivasailam block, Sankara Nethralaya’s State of the art eye care facility, a proud creation of its Corporate Social Responsibility Initiative (CSR), as part of the visitor’s agenda. 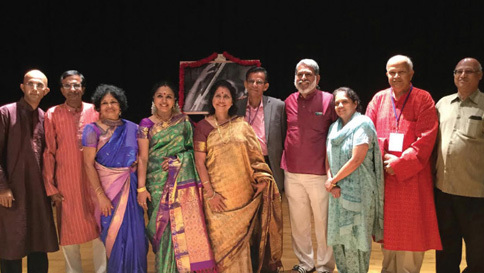 A simple function showcasing and celebrating the TAFE- Sankara Nethralaya collaboration was organized at the Srimathi Jayashree Venkatraman Auditorium at the Sri A.Sivasailam block, named after its founder. The function was graced by Ms Mallika Srinivasan, CEO and Chairperson and senior management members from TAFE and distinguished dignitaries from the Allis-Gleanor Corporation (AGCO). 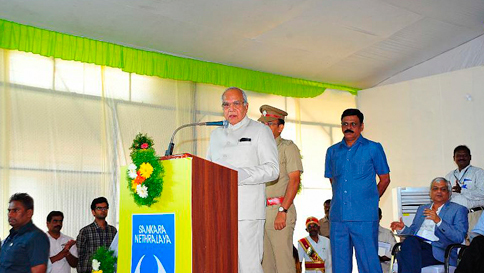 Sankara Nethralaya the beneficiary of TAFE’s massive CSR initiative was represented by Dr. T.S. Surendran, Director Pediatric Ophthalmology department and Vice-Chairman and Dr. Prema Padmanabhan, Senior Consultant and Director, Cataract &IOL department. The latter took the opportunity to express her institution’s deep gratitude for the great support and encouragement extended by the nation’s premier farm equipment company, she gave an absorbing presentation on the large scale community services rendered by Sankara Nethralaya, its high level ophthalmic research, carried out for the common good, academic endavours to prepare a large army of dedicated professionals to fight the battle against blindness. Dr. Prema Padmanabhan recalled the long association between two of the city’s well known institutions, dating back to the days of Shri A.Sivasailam, Founder TAFE and a great friend of the institution, who had supported it during its days of inception to TAFE’s present day support by way of its massive ‘Corporate Social Responsibility’(CSR) endeavour under the dynamic leadership of its CEO and Chairperson Ms. Mallika Srinivasan, which blossomed as the Sri A.Sivasailam block, the State of the Art eye care facility named in memory and honour of her father. The presentation was extremely well received by the distinguished audience, her note on Sankara Nethralaya’s ‘One of its kind in Asia’ ‘Operation theatre on wheels’, the institution’s revolutionary initiative of performing vision revival surgeries for ‘Cataract’ the single largest cause for blindness in the country, right at the door steps of poor patients living in the most inaccessible and remote regions of the country, drew special attention and praise. In an interesting turn of events the function organized to highlight TAFE’s role in alleviating the suffering of the visually impaired to the visiting team assumed the role of a fundraiser for its beneficiary. 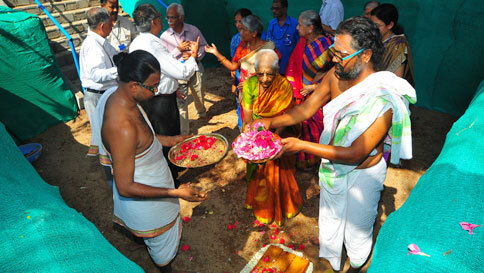 In a gesture reflecting its high appreciation to the noble initiative of Ms Mallika Srinivasan who serves as a director in their board and a ‘joining hands’ effort, the Allis-Gleanor Corporation (AGCO) made a generous, on the spot grant towards Sankara Nethralaya’s cost free community services to the thunderous applause of the gathering. While the donation from the renowned technology leader in the field of farming equipment came as a great support in the institution’s ongoing battle against blindness, especially among the weaker sections of society, the citation ‘We commend your commitment to improve the lives of those most in need’ signed on behalf of the global leader in its field, by Mr. Martin H. Richenhagen, Chairman, President and CEO, came as a proud compliment and feather in the cap to the non-profit’s tireless work among the poor and needy visually impaired, living in the most remote/inaccessible regions of the country. The music of MS Amma had an element of universality, it was adulated by musical geniuses of different genres of music and world leaders who lived during her times and she had acquired a global stature far beyond that of a musician. 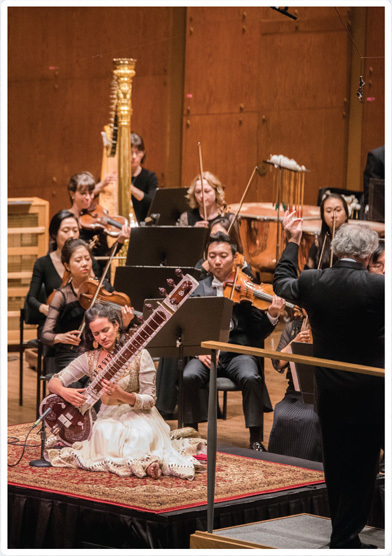 A western classical concert featuring the Sitar Concerto No-2, Ragamala composed by Sitar legend Pandit Ravi Shankar, by his daughter Ms Anoushka Shankar, renowned Sitar player, in accompaniment with Maestro Manfred Honeck of the New York Philharmonic, was truly a fitting tribute to the universality of her music and persona. 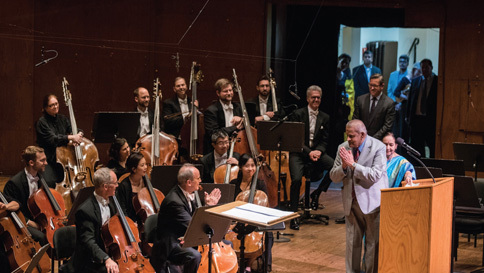 The leading American orchestra rated as being among 'The Big Five' orchestras paid its musical tribute to the Universal Singer at the 'Geffen Hall' at the Lincoln Center for the Performing Arts, known as the 'Home of the New York Philharmonic'. Extending a warm welcome and introducing Dr SS.Badrinath and Dr Vasanthi Badrinath to the audience Mr. Matthew Van Besien the President of the New York Philharmonic remarked that his orchestra was honoured to pay tribute to MS Subbulakshmi the cultural Icon of 20th Century India and foremost exponent of Carnatic music, a form of classical music with a rich tradition spanning 1,600 years on her birth centennial. Delivering a spirited speech Dr SS.Badrinath touched upon diverse subjects such as the divine quality of MS Amma's music which transcended the audience to a world of bliss, the honours showered on her, her influence in transforming his life that made him stay back in India and start the Sankara Nethralaya, her support with seed capital and continued patronage which helpd in its growth. Observing that the concert by Maestro Manfred Honeck and Sitarist Anoushka Shankar was the grand finale to a series of 11 concerts organized by Sankara Nethralaya in honour of the humanitarian musician on her birth centenary, he expressed his sincere gratitude to all those who made the program a reality. He closed his talk with an invitation to Srimathi Vanitha Sudheendranath a long time friend of the institution to render the prayer song for world peace composed by Mahaperiyava for MS Amma's 'Concert for Peace' at the United Nations General assembly exactly 50 years back. The role of the benign hand guiding and accomplishing Sankara Nethralaya's noble endeavours was very apparent in the Dr. MS Amma birth centenary celebration too! 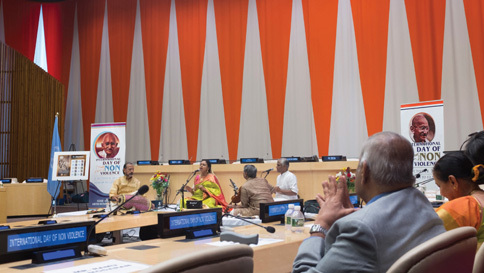 The Sudha Ragunathan Concert at the UN on the morning of 2nd October observed as 'World Non-violence Day' could not be attended by a large number of MS Amma rasigas as the auditorium was filled to capacity. 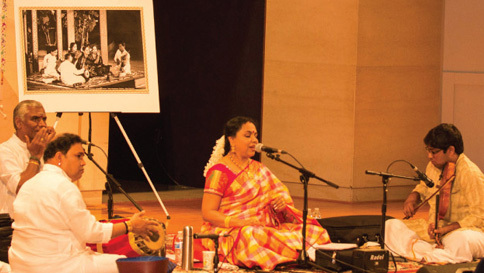 It was an earnest effort by the SN OM Trustees of the region to organize a similar concert on the same day at a different venue in the city to give the rasigas another opportunity to enjoy her music that resulted in a concert at the Maha Vallabha Ganapathi Devastnanam auditorium, Flushing, New York. The concert was not part of the original agenda and it was the blessings of this divine hand that made it a reality within short time frames. 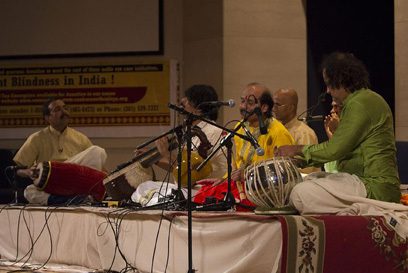 The SN OM Trustees did a remarkable job of identifying an alternative venue and persuading the authorities of the temple to make the same available and organizing the concert in short notice to avoid the disappointment to a large number of audience who could not be accommodated at the UN and it goes to the credit of Srimathi Sudha Ragunathan and her musicians that they rose to the occasion and agreed to play most gracefully at a venue which was not part of their original itinerary. The concert was among the finest in the series and regaled the large gathering of audience assembled. MS Amma was a great patriot and a champion of peace and harmony and dedicated many of her concerts to raise funds for the freedom movement and a concert honouring her birth centennial at the UN on 'Gandhi Jayanthi' being observed the world over as 'World Non-Violence Day' was a most befitting tribute indeed. 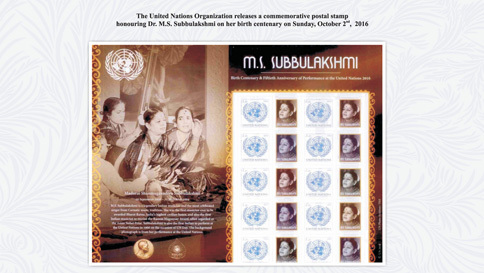 It was a crowning glory to the legendary singer that the United Nations Organization released a commemorative postal stamp honouring her on this momentous occasion. Among the legends that abound about MS Amma there is one about the passion that the Father of the Nation had for her voice that touches one's heart, the Mahathma in his characteristically straight forward approach had sent word to Shri Kalki Sadasivam, husband of Srimathi MS Subbulakshmi through Srimathi Suchetha Kripalani, freedom fighter and wife of Shri Acharya Kripalani also in the freedom struggle, expressing his wish to listen to the rendering of his favourite Meera Bhajan 'Hari Thum Haro' by the legendary singer. MS Amma reacted to this request with her characteristic humility that not being familiar with the song it may not be appropriate that she renders it, for which the Mahathma remarked that he would rather listen to the great MS merely recite the verse than anyone singing the same. MS Amma could not refuse the request anymore and with some quick practice was born one of Amma's greatest songs, the song was taped by All India Radio (AIR) and the tape was sent to Delhi where the Mahathma listened to it with fascination, the bhajan soon became his favourite song and was played wherever he camped during the days of the freedom struggle. All India Radio which recorded the song broadcasted it repeatedly as the nation's tribute to the Father of the Nation soon after his assassination, moving the heart of millions to tears. 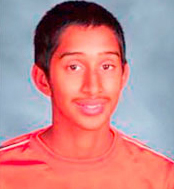 The huge auditorium at the Eleanor Roosevelt High School at Hanover Parkway, Greenbelt, more used to assemblies of students, witnessed a gathering of a different kind on the 18th of September 2016. 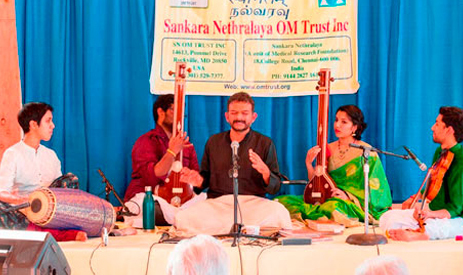 The SN OM Trustees from Maryland were celebrating the Birth Centennial of Dr MS.Subbulakshmi at the venue and Carnatic music rasigas and MS aficionados had gathered in large numbers. The rare MS Amma photographs displayed at the hallway of the venue was a major attraction for the audience and won their high admiration. The proceedings started with a mellifluous invocation and interesting note on the long association between the singing legend whose birth centennial was being observed and Sankara Nethralaya the institution she cherished and supported, by Shri Ramarao Mysore a member of the SN OM Trust from the region. Extending a warm welcome to the gathering Shri S.V. 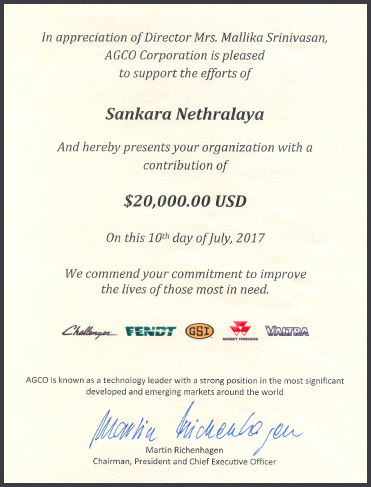 Acharya, Founder and President of the Sankara Nethralaya Ophthalmic Mission Trust underlined that Maryland has a special place in the history of Sankara Nethralaya as it is the place where the SN OM Trust, its fund raising arm in the USA which raises significant funds for its community services was born. He used the occasion to convey his heartfelt thanks and admiration to the Indian community in the USA whose continued support had brought the critical change in the lives of the visually impaired in India. His observation that their generous contribution had helped in performing 7000 minor and major cost free surgeries to poor patients in India was received with thunderous applause. Speaking on the occasion Ms Nandini Mouli a long time friend and supporter of Sankara Nethralaya in the USA and an active member of the MS birth centenary celebration organizing team in MD expressed her gratitude and appreciation to the musicians for their outstanding performance on behalf of Sankara Nethralaya and the SN OM Trust. The joyous function concluded with a warm vote of thanks by Shri Shankar Iyer SN OM Trust member from the region. 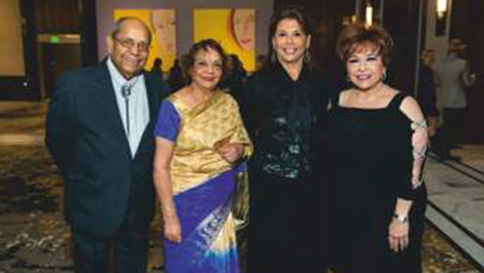 The MS Amma birth centennial celebration at Houston on the 17th of September 2016 was an event of truly Texan proportions and had a distinct global flavor too, the event was co-sponsored by the Asia Society, the association actively involved in educating the world about Asia and forging closer ties between Asia and the West through Arts, education, policy and business outreach. Ms Stephanie Todd Wong the Director of the Society, a good friend of Shri Sesh Bala and Srimathi Prabha Bala well wishers of Sankara Nethralaya played a major role in organizing the program and making available the prestigious 'Texas Center' as a venue for the program, she was ably assisted in her efforts by Ms Cori Capetillo and Ms Bridget Bray, Director & Curator of Exhibits. The proceedings started on a high profile with Guest of Honour Shri Anupam Ray, Consul General of India at Houston and distinguished members from the local community Mr Thomas J.Reid, Mayor Of Pearland, Ms Heidy Weiss, ED, City of Pearland, Mr Chris Brown, Houston City Controller, Ms Debbie Mcnulty, Director, Office of Cultural Affairs, City of Houston and Ms Nancy Allen, Founder Member of the Asia Society, Texas Center, inaugurating the 'Dr MS Subbulakshmi Photo Exhibition' by a customary cutting of the ribbon in the August presence of Mr. Bonna Kol, President of the Asia Society, Ms Anne Chao, Mr Albert Chao, Asia Society Texas Center members and major supporters, Mr Mickey Rosenau, Ms Ellen Gritz, Ms Stephanie Todd Wong from the Asia Society, Dr KS. 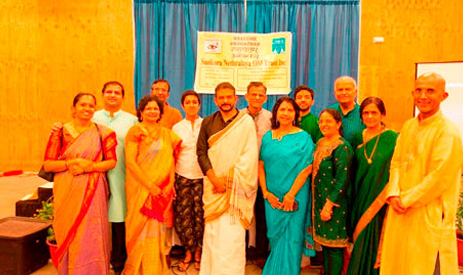 Vasan, SN OM Trustee from Houston and Managing Director Sankara Nethralaya, Srimathi Leela Krishnamurthy, SN OM Trustee, Shri Sam Kannappan, SN OM Trustee and several well wishers and friends of Sankara Nethralaya. If the compeering of the program by Shri Sesh Bala added a special touch to it, the well chosen photographs capturing the great moments of MS Amma's life, a riveting video clip of the legend's concert at the UN exactly 50 years back and interesting anecdotes from the Singer's life by Srimathi Anuradha Subramaniam and Srimathi Prabha Bala transferred the audience to a glorious era. A video clipping of Sankara Nethralaya's service, especially to the poor and needy and an absorbing talk on the subject by Dr KS.Vasan helped in communicating Sankara Nethralaya's philosophy and goals to the August audience. 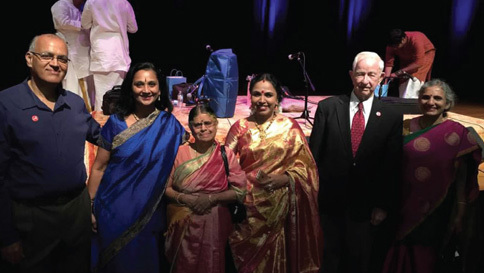 The highlights of the event was a rich tribute to the legend by Shri Anupam Ray, Consul General of India to the USA at Houston, Proclamation of the Day as M.S.Subbulakshmi Day and M.S.Subbulakshmi Centenary Celebration Day by Mr Sylvester Turner, Mayor of the City of Houston and Mr Tom Reid, Mayor of the City of Pearland and the issuing of a 'Certificate of Recognition' to the 100th Birthday celebrations of M.S.Subbulakshmi by Mr Joe R Zimmerman, Mayor of Sugar Land. The Dallas chapter of the Indian Fine Arts Academy (IFAA) the well known champion of Indian music and culture in the region joined hands with the local chapter of the Sankara Nethralaya OM Trust to organize a grand musical tribute to MS Amma by Srimathi Sudha Ragunathan and her group at the Unity Church of Dallas, Texas on the 11th of September 2016. The large gathering of rasigas were warmly welcomed by Shri Santhanam Mullur the SN OM Trust member representing the region. Shri Mullur gave an interesting overview of the Dr MSS Centenary Celebrations and the association between the legendary singer and Sankara Nethralaya, the institution she supported passionately. This was followed by an absorbing video presentation on Sankara Nethralaya and the reach of its cost free community services to the poor and needy. 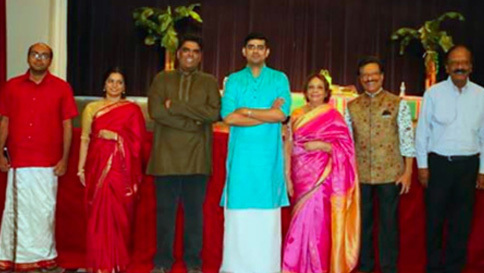 Srimathi Shanthi Murali, Trustee, Indian Fine Arts Academy, Dallas, who had contributed significantly for the successful organizing of the program, extended a warm welcome to the distinguished musicians and introduced each of them, to the excited applause of the rasigas. A highlight of the event was the presentation of prizes to a group of highly talented young singers who had made their mark in the 'MSS Amma Online Music Competition' a novel online voice evaluation exercise for budding amateurs, by seasoned Carnatic singers, conducted by Shri Prabhu Sivaraman, SN OM Trustee from the region. It was an occasion to rejoice and remember for the young winners as Dr Sudha Ragunathan, among the leading exponents of the art form congratulated them warmly, encouraged them and presented the awards. Delivering the Vote of Thanks Dr Arvind Neelakanthan an alumni of Sankara Nethralaya presently with the Glaucoma Center of Texas gave a passionate account of his Alma Mater's contribution towards eliminating blindness through its research, knowledge dissemination and cost free community eye care services and how its yeoman service to society brought back the dignity and joy into the lives of the indigent visually impaired, by bringing back their lost vision and making them independent, self supporting individuals. 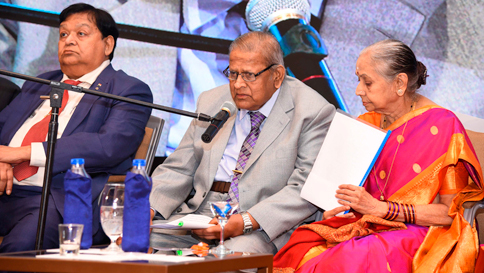 He made a fervent appeal to the audience to donate generously towards supporting the large number of cost free surgeries to indigent patients in India that Sankara Nethralaya planned to perform in memory and as a tribute to MS Amma on her birth centennial. Shri Prabhu Sivaraman, Trustee, SN OM Trust extended a warm thanks to the artists, audience, the IFAA, Dr Arvind Neelakanthan and Srimathi Sudha Ragunathan for presenting the awards and encouraging the young winners. 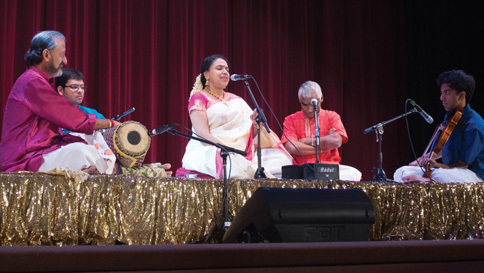 The Sama Rathi Auditorium at the Hindu Temple of Greater Chicago at Lemont wore a festive look on the 10th of September 2016, the occasion was the celebration of the Dr MS birth centennial with a concert by Carnatic music exponent Ms Sudha Ragunathan and her group. Rasigas from across Chicago began gathering at the venue for an evening of mellifluous music. An exhibition of rare photographs at the venue capturing the golden moments in the life of the great singer struck an emotional chord and the sale of 'MS blue sarees' which had become an identity of the singer came as a pleasant surprise and great memento to the audience. 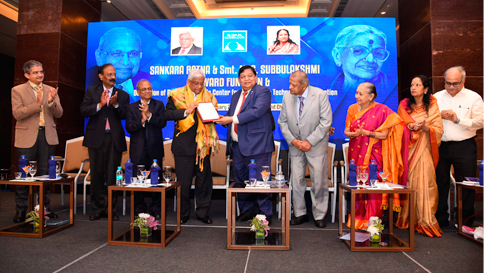 Well known personalities from the local India Diaspora shared the dais with Dr.Raj Rajaram and Shri Sudhakar Mattu, SN OM Trustees from the area to extend a warm welcome to the large audience, give them a background of Sankara Nethralaya and the SN OM Trust and make a fervent appeal to donate generously towards the good number of cost free cataract surgeries planned as a birth centennial tribute to the Singer who had made her voice a vehicle for relief and joy. 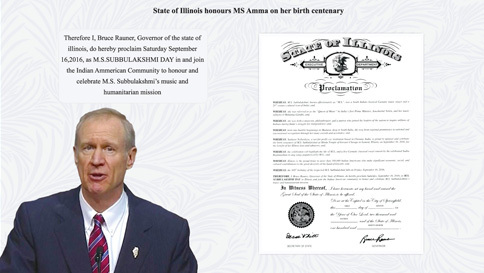 A highlight of the Chicago celebrations was the proclamation of Saturday the 16th of September 2016 as M.S.Subbulakshmi Day by Mr Bruce Rauner, Governor of the State of Illinois. 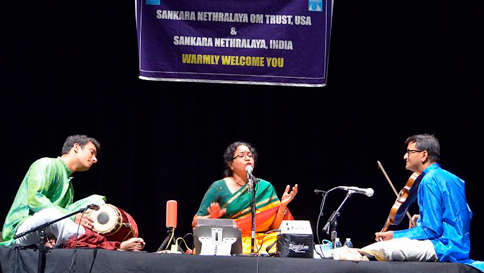 The Cabrillo School Auditorium at Santa Fe, Long Beach, CA presented a picture of gaiety on the 5th of September 2016, the occasion was the birth centennial tribute to the 'Tapaswini' and Nightingale of India Dr MS Subbulakshmi and rasigas had gathered in large numbers with great expectancy and excitement. 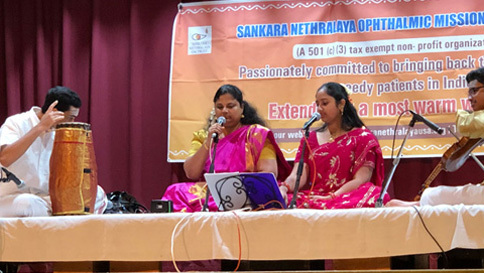 Their expectations were more than matched by a mellifluous shower of classical, devotional and bhajans from the repertoire of the great singer, by Srimathi Sudha Ragunathan among today's leading exponents of the art form and her group of seasoned musicians. It was 'Ganesh Chaturthi' day and the maestro wished the audience a happy Ganesh Chaturthi and sang a special Ganesha Slokam in praise of the God of auspicious beginnings. Shri Raja Krishnamurthi the SN OM Trustee from the area gave an absorbing account of Sankara Nethralaya, its mission and philosophy and made a fervent appeal to the audience on behalf of the SN OM Trust to support the large number of cost free cataract surgeries that were planned to be performed as a birth centennial tribute by Sankara Nethralaya to a noble singer who had identified herself with its cause and supported it most generously. A pat for budding and seasoned talent, divine enthralling music and contributions for a cause mark MS Amma centennial celebrations at Atlanta! 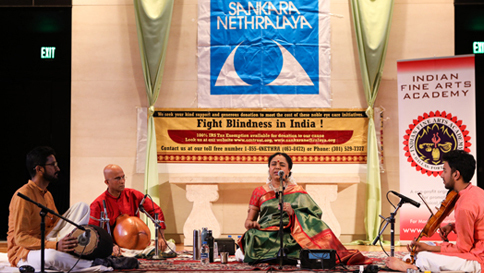 The Atlanta chapter of the Sankara Nethralaya Ophthalmic Mission Trust presented an extraordinary, 3 day centennial homage to Bharat Ratna Dr.M.S.Subbulakshmi. The curtains went up on the well prepared and organized event on the 3rd of September 2016 with a brief talk on Sankara Nethralaya and its achievements in research, education and cost free community eye care to indigent patients, by Dr. Seshu Sarma, Vice-President, Sankara Nethralaya, Ophthalmic Mission Trust, Inc, the fund raising arm of Sankara Nethralaya in the USA. 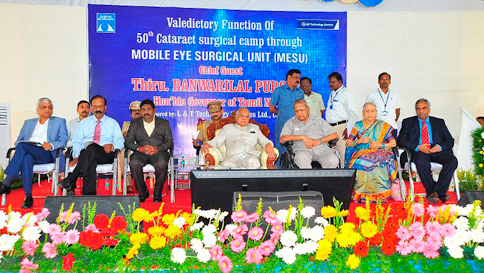 Dr. Sarma also gave an interesting account about the ‘Mobile Eye Surgical Unit’ (MESU) which performs sight reviving cataract surgeries, totally cost free, right at the doorsteps of patients living in the most remote regions of India, with no access to quality eye care. 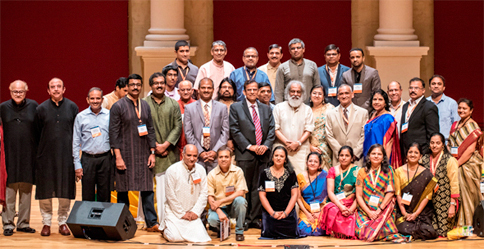 This was followed by a warm greeting and welcome to the Rasikas assembled in large numbers and dignitaries by Dr. Rao, President of the Hindu Temple of Atlanta. Speaking on the occasion Chief Guest of the day, Mr. R.Srinivasan, Consul, Indian Consulate, Atlanta, lauded Smt. M. S. for making India and Indians proud by her music. The most touching and inspiring speech of the afternoon however, was the one given by eleven-year old, Raveena Allie, who was born with no eyes. Her life story of being brought up by loving foster parents in the US and working her way up by overcoming her disability to become a honor student in middle school and excelling in innumerable extracurricular activities filled the listeners with a sense of confidence that if one is determined, nothing in life is insurmountable. The audience gave her a standing ovation for her rousing message and indomitable spirit. Another recognition being bestowed as part of the Centenary celebration the ‘Bharat Ratna M. S. Subbulakshmi award’ for years of contribution to Indian classical music was awarded to Smt. 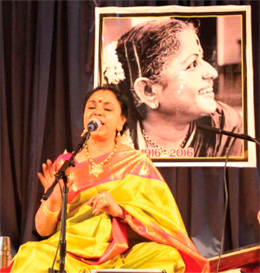 Subhashini Krishnamurthy – musician, composer, Vocalist, teacher, and Veena player. 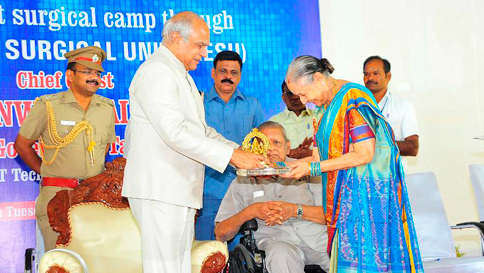 Ms. Subhashini was presented with a plaque and a blue silk saree, similar to the one that was popularized by Smt. M. S. Subbulakshmi. The awards were given to the winners by Smt. Sudha Raghunathan who spoke admiringly of the winners and their accomplishments. The second day of the three-day event showcased Atlanta’s local talent. 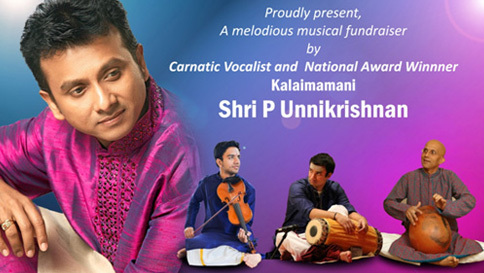 The performers were young children and young adults trained in different schools of Carnatic music by eminent teachers in Atlanta. It was most inspiring to listen to children as young as 6 years of age, rendering compositions made popular by Smt. M. S. Subbulakshmi with devotion and dedication. The last and final day of the three-day event was highlighted by a one-hour video presentation on the life and accomplishments of Smt. M. S. Subbulakshmi, put together by the renowned dramatist and director, Sri Syam Yellamraju. The video presentation was followed by group singing of the compositions of the great composer, Sri Annamacharya, popularized by Smt. M. S. Subbulakshmi. The performers were local music teachers and musicians. 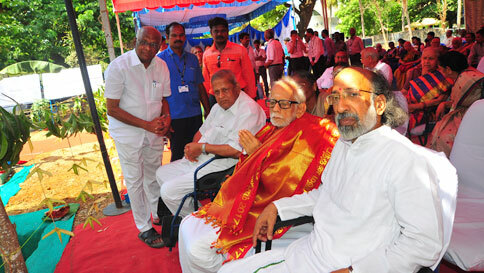 It was a most befitting tribute to the memory of Smt. M. S. Subbulakshmi. At the conclusion of the program,Dr.Sarma thanked her co-trustees of SN OM Trust,Moorthy Rekapalli and Bala Indurti and the President of CAMAGA,Dr.Ram Sriram and all the others who contributed to the 3 day event. She expressed her deep gratitude to all the donors who contributed generously to the Sahasra Nayanam project and the Chitoor Gift of Sight project. She further expressed her sincere appreciation to journalist Sri Mahadev Desai for his excellent coverage of the three-day event and Mr. Ravi Penumarthy for taking superb pictures of the event. It was an event of truly 'EPIC' proportions, a birth centennial homage to a virtuoso who strode the world of music like a colossus, an unparalleled vocalist who had given a divine quality to music by making it a vehicle of relief and support to the sick, homeless and suffering, an electrifying performance by a double Oscar awardee, the nationalist and patriotic singer was being honoured on the nation's 70th Independence Day, at the world's highest seat for Peace, the 'United Nations General Assembly' where she gave a historic 'Concert for Peace' on United Nations Day, exactly 50 years ago at the invitation of the Secretary General of the UN, making her the first Indian to perform at the UN and last but not the least by an institution governed by service to mankind, by bringing back the light of vision and joy as the very purpose of its existence. The high octane event started off with the inauguration of an exhibition of rare MS Amma photographs capturing the great moments in her life by Mr MJ Akbar, Minister of State External affairs, Dr SS.Badrinath Founder and Chairman Emeritus Sankara Nethralaya and Sri S.V.Acharya, President of the Ophthalmic Mission Trust Inc, the fund raising arm of Sankara Nethralaya in the USA, the specially chosen photographs capturing the rare and great moments from the life of the legend won great admiration of the attendees. The musical event began with the rendering of a set of mellifluous invocation songs by long time friend and supporter Srimathi Vanitha Sudheendranath. This was followed by some highly engaging talks on the institution, its goals, philosophy, association with MS Amma and the birth centennial celebration by Dr SS.Badrinath, Dr Vasanthi Badrinath and Dr Tarun Sharma. The double Oscar awardee was in his elements and A.R Rehman LIVE 2016 his musical homage combined the superlative melody of his orchestra and a magnificent 3D spectacle making it a musical extravaganza never seen before, it kept a close to 1000 strong distinguished ,multinational, multiracial audience spell bound and transfixed broken only by thunderous claps. The blend of Sanskrit, Tamil reverential songs in Carnatic music and Hindustani, quawwali and Islamic songs captured the 'Universality of the Spirit' and 'oneness of God' values so close to the person in whose honour the event was being held. The high point of the show was a performance by the 'Sunshine Orchestra' a troupe consisting of underprivileged kids from Chennai, whom Sri AR Rahman complimented as 'specially privileged performers'. The event was well covered by the local Media; we take pleasure in sharing a sample of the response it evoked from the distinguished audience. 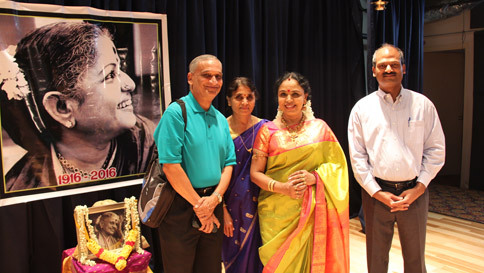 MS Amma centenary celebrations take off to a flying start at California's Bay Area! 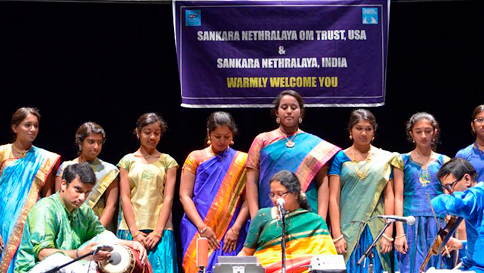 The yearlong MS Amma centenary celebrations being organized by the Sankara Nethralaya and the Sankara Nethralaya Ophthalmic Mission Trust, as a thanksgiving and homage to one of the institution's greatest friends and supporter got off to a great start at San Jose off the bay of the California coast. It was the fruits of more than 3 months of toil and planning and dream come true for Shri Parthasarathy Chakravarthi, Shri Ram Akella the SN OM trustees from the California chapter and Srimathi Hema Partha and their innumerable friends, well wishers and volunteers, as the screen went up at the CET Anthony Soto Theatre at 4:00pm sharp on Sunday the 10th of July 2016, marking the splendid kickoff of the yearlong centenary celebrations. 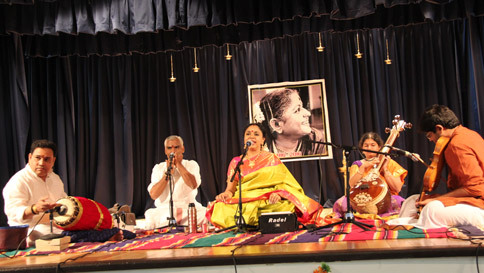 The bright evening witnessed Canatic music at its best, as well known vocalist and founder of the Ragamalika school of music Srimathi Asha Ramesh and the highly talented students of her school gave a spell binding performance to the accompaniment of Shri Jay Shankar Balan on the Violin and Shri Vignesh Venkatraman on Mridangam. If the mellifluous music was honey to the ears the poignant images of MS Amma thoughtfully displayed at the foyer by the organizers helped in capturing the glorious relationship between the virtuoso singer and the institution she cherished and supported; The images on Sankara Nethralaya's community eye care underlined the purpose of the event. The concert turned out to be a wonderful get-together for the Indian diaspora and an ideal platform for Sankara Nethralaya to express its gratitude and respect to one of its greatest supporters, create awareness on its philosophy and raise funds towards its cost free community eye care a cause which MS Amma held close to her heart; the yearlong Centenary celebrations got off with a great bang indeed!